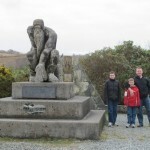 Why visit Ireland with kids? 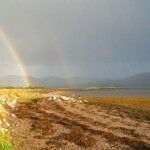 Ireland is a magical place for anyone to visit since this is, after all, the country of leprechauns and pots of gold. The people are friendly and children are universally welcomed. Even though I now live in Seattle, I grew up in Ireland and I still consider it my home. My parents and siblings and my husband’s parents and siblings still live there so we visit Ireland regularly. 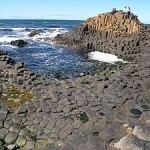 With this Ireland with Kids travel guide you’ll be able to plan a fun family vacation in the Emerald Isle. 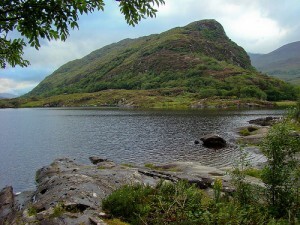 Practically, what’s it like to visit Ireland with children? 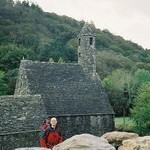 Outside the cities (well, Dublin really), the towns are small and walkable, in fact, everything is smaller and greener. 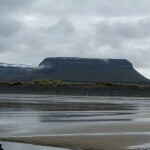 You would never visit Ireland for a sun vacation, but it has wild open beaches which are great for beach-combing, walking and, believe it or not, surfing. 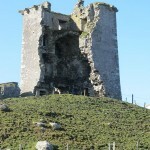 There are more tumbledown castles and fairy forts than you can possibly ever visit. 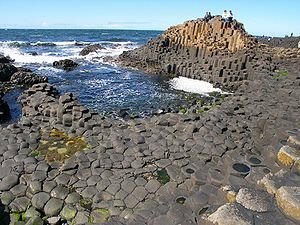 That, and the many round towers mean that before you go you’ll just have to read a little about Irish history and the role Vikings played in that history (see my list of children’s books about Ireland below). 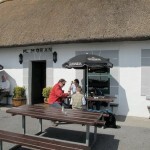 There’s also hiking, cycling, walking and plenty of music – and you’ll probably find there’s a lot more to Irish cooking than corned beef and cabbage. 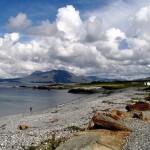 The excellent Renvyle House Hotel in Connemara, Co. Galway. Trident Hotel, Kinsale and Actons Kinsale. 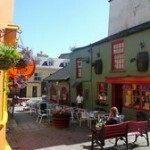 These three-star hotels are on the road out of downtown Kinsale towards the harbor – it’s a great location. Some of the rooms at the Trident have excellent water views. Although both hotels have restaurants which have good reviews, I’d skip the hotel food and wander through the charming town where there are plenty of really excellent restaurants. Barberstown Castle. Looking for a quiet, restful place to stay with plenty of golfing amenities nearby and a little history thrown in for good measure? Check out Barberstown Castle. Sections of the original building – built in the 13th century – form part of the hotel buildings. A definite win if you’re traveling with a young “Knights and Castles” fan. Jury’s Inns are one of the few hotel chains in the British Isles to have family rooms (two queen beds) as standard. On my last trip to Ireland I stayed at the wonderful Kippure Estate in Blessington. The accommodation is one and two bed-room apartments which are simply furnished but very spacious. 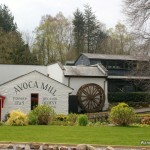 The view from the front of the building is a picture-postcard blend of the many shades of green in the Irish countryside. 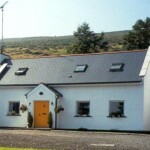 When we spent eight weeks in Ireland in 2000, we rented the larger of the Tibradden Farm Cottages. These refurbished buildings are beautifully maintained and in a glorious location. On a clear day (stating this even though it’s obvious, but this is Ireland we’re talking about), if you take a short hike from the cottages uphill, you’ll find yourself looking out on Dublin and Dublin Bay laid out before you. It’s a view you can’t get in many other places in this low-lying city. 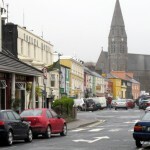 You’ll find Bed-and-Breakfast accommodation in most Irish towns. 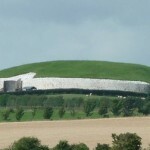 Look for reviews and ratings on the Discover Ireland (Irish Tourist Board) website. – The main supermarket chains are Dunnes Stores and Tesco (Ireland), you’ll find one or the other – or both – in most towns. The German low-cost chains Aldi and Lidl are also in Ireland now. – Look out for Spar shops. These convenience stores (like 7-Elevens) are usually well-stocked with fresh and packaged foods. My favorite place for Eggs Benedict in Dublin is the Elephant and Castle in Temple Bar. That’s because I used to live around the corner. If you know of somewhere better, leave a comment. For a fun family dinner out with traditional music in the Dublin area, check out Johnny Fox’s. It’s loud, it’s twee, it’s touristy, but it’s rip-roaringly good fun. Try and get a table close to some Irish people – they’ll belt out all the words to all the songs they know.